Everything from colleagues bursting in late, to nothing being decided, (think classic ‘W1A’ BBC comedy for this! ), or endless handouts being passed round, are all bound to have you snoozing in your seat. And I’ve one more to add to the list……eating at meetings! 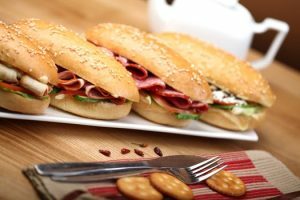 If there’s free food on offer in the form of bacon butties at a breakfast meeting or a buffet spread at a lunch meeting, then it can be tempting to pop along on the chance of getting a free feed, especially if you’re on a tight budget. But do munching and meetings really mix? However amazing the spread on offer, when it comes to munching at meetings, I make a rule that I never eat. Let’s be honest, there’s nothing worse than thinking you can take a big bite of a sandwich during a quiet moment, only to find the attention’s suddenly back on you and everyone’s waiting for you to speak! Frantically trying to gulp down a huge mouthful of sandwich is never a good look quite frankly. After all who could forget the classic Ed Miliband bacon sandwich eating incident a few years ago? I was once invited to one of these. Last time I looked, sandwiches certainly didn’t do much in the way of work, but it was ‘PR’ speak for a casual lunchtime meeting. I was invited along as I was about to work on a media campaign with one of the company’s clients and we were chatting over the final details. Learnt my lesson that day as no sooner had I decided it was safe to tuck into a sandwich, than someone decided to ask me a couple of questions. So cue much hand waving, silence around the table along with world record breaking eating! Since then I’ve adopted the ‘no eating’ rule which seems to work quite well, though can mean you miss out at times. On another occasion I spent an hour hosting a round table event one afternoon with the most amazing spread of cakes and scones laid out over the table. During the event I could see people around the table starting to tuck in, and the cake display rapidly diminishing. Ok so I had been told that the event was very informal, but still, let’s be honest, being caught with jam and cream round your face after diving into an overfilled scone is never a good look, however informal the event! Missed the Budget? Still scratching your head over what it all means for the pound in your pocket? Here’s my one minute guide to five things I’ve pulled out that’ll make a difference….. Right now you can earn £11,850 a year before the tax office take a bite. But from next April you’ll be able to earn £12,500 before paying a penny in income tax. Means an extra £130 a year in your pocket. And for higher rate tax payers, from April, you’ll be able to earn £50,000, (instead of £46,350), before the 40% tax rate kicks in. Duty is frozen on this little cocktail of drinks but expect to pay a few pence more on a bottle of wine. Fuel duty is frozen for the 9th year in a row so you won’t pay more at the pump. 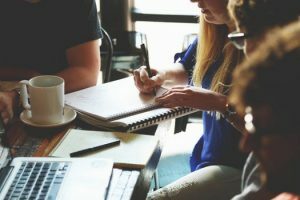 But of course with the competition out there, it doesn’t mean prices will stay the same and you’ll still need to shop around for the best price. Ok so the £420 million the Chancellor’s setting aside to cover sorting out the nation’s potholes won’t go directly in your pocket. But, if the roads get fixed, (and clearly this won’t be overnight! ), then it could well save you money on tyres and car repairs. Savings rates are still pretty pants, so you may well be tempted to stash your cash in Premium Bonds for a chance to win a million. And if you needed more persuasion then any winnings are tax free! £100 was the minimum you could put in, but yesterday the Chancellor slashed that to £25. This is just a very quick look at the stuff you might want to know instantly. But of course there was an awful lot of other promises including money for the NHS, Air Ambulance, money for schools and more, plus help for the high street with a third off business rates for small businesses and money to help implement Universal Credit…..
Melbourne is a stunning city and I’ve been lucky enough to go there twice so here’s my tried and tested tips on ways to make the most of it without going for broke. Hopping on a tram makes for a super easy way to get around the city. Make the most of the free tram zone that covers the city centre and means you can hop on and off at all the major sites. Or take the more touristy but eye catching City Circle tram. 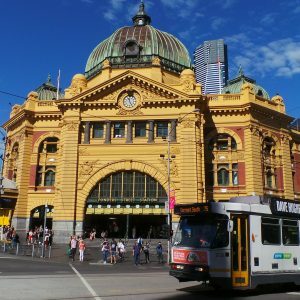 Once again totally free with stops near sights including Old Melbourne Gaol, Flinders Street Station and the Melbourne Aquarium plus the shopping delights of Bourke Street Mall, the Block Arcade on Collins Street and Queen Victoria Markets which I love. And don’t miss the Laneways which are packed with quirky cafes, shops and some amazing street art. You can easily spend a day here just enjoying getting lost! Venturing beyond the ‘free’ tram zone? You’ll need a Myki card which costs $6 and pre-load it just like you would an Oyster card. Once you’ve done the city, St. Kilda is a must and this laid back beach suburb is also home to the Esplanade Market every Sunday from 10am. One popular trip out of Melbourne is to Phillip Island to see the Fairy Penguin parade at sunset. You can see the little penguins swimming to the shore and making their way up the beach to their nests but it can be a long and expensive day trip and pretty busy. So I’d suggest heading for the St Kilda breakwater at sunset where you can watch the penguins swim home to their nests in the rocks for free. If you’re a Neighbours fan make sure you head out of the city to visit the real life ‘Ramsay Street’. 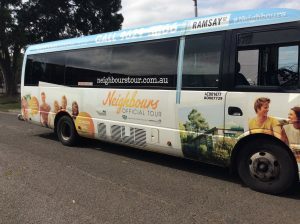 The guys at Bunyip Tours organise a great tour and if you book a weekend trip you’ll not only get to see the real life Ramsay Street, aka ‘Pin Oak Court’ but also get a ‘behind the scenes’ tour of the exterior sets at the Nunawading Studios complete with backstage gossip, (especially if you get Gerry as your guide! ), and photo opportunities outside the Lassiters complex, Harold’s Café and Fitzgerald Motors. 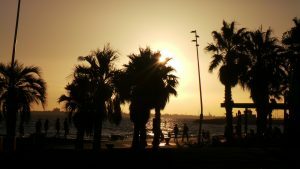 It’s an amazing trip but will set you back $85 while the ‘Street Tour’ is $59. But for a budget trip jump on public transport and see the street for yourself. Pin Oak Court is in the Melbourne suburb of Vermont South so you can catch the train from Flinders Street Station to Glen Waverley, jump on a bus to the top of Weedon Drive and third of the left is Pin Oak Court. The American investment bank Goldman Sachs may not be somewhere you’d think of going to open up a savings account. But its new Marcus account, (named after one of the bank’s founders), has been topping the ‘best buy’ tables as it pays 1.5% a year on savings from £1 up to a whopping £250,000. The account’s been available for a couple of weeks and right now it tops the list of ‘Easy Access’ accounts at Moneyfacts beating Tesco into second place which has a 1.4% rate. It’s an ‘easy access’ account. This means you can pay in and withdraw your money as many times as you like. No limits on withdrawals and you can save from just £1. It’s a variable rate, so it can go up as well as down and the 1.5% rate includes a 0.15% bonus for the first year. It’s online and phone based. No hoops to jump through with any regular payments, direct debits or the like. 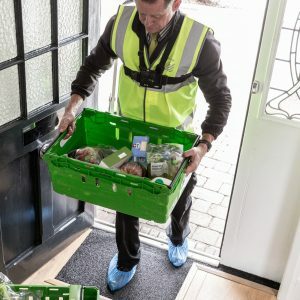 Waitrose is to trial a new delivery service which means you can have your groceries delivered and packed away while you’re out. Its ‘While You’re Away’ service uses Yale smart lock technology, which means eligible customers can set a ‘one time’ access code for the driver, which is then deleted post delivery. When I read about this idea, my first thought was how well it would go down with home insurers? Surely giving a total stranger the code, (effectively the key), to your home and allowing them in when you’re out, wouldn’t go down well? And yes, I know that all the drivers will wear a ‘chest-cam’ so the entire delivery is filmed, and customers can view the footage, but to my mind there’s a whole list of potential problems with this idea. Most supermarkets now offer ‘one hour’ delivery slots and deliver 7 days a week, from around 8am through to 11pm, so is anyone really that busy that they can’t manage to be in for just one hour to have their shopping delivered? Pets would be a big worry in my book. I’m not convinced our cats would take kindly to a stranger marching in, or more to the point, would they see their chance to make a bid for freedom and dash out while the door was open? You can hardly expect Waitrose delivery drivers to take on the role of cat and dog sitter and be chasing pets around to shut them in different rooms so they can’t escape. And if your dog is a little territorial, how are they going to react when a stranger comes through the door? The deal is that drivers will stock your fridge and freezer, but leave the rest of the groceries on the side. Now I’m guessing if you’re happy for a stranger to come into your home and open up your fridge, then you won’t be too fussed which shelf stuff goes on or how it’s stacked? And unless you leave specific instructions on what you want put where, then you may have to do a little fridge shuffle when you finally get home. What about stuff you want to reject? We regularly get our shopping delivered, and with the sheer number of deliveries, there is the occasional torn bag, an egg that’s cracked or something arrives with a super ‘short shelf life’. With a doorstep delivery, you can reject it and send it back for a refund, but if it’s already been delivered and unpacked, chances are you may not even notice any problems until you come to eat the stuff. And if you’re not there to ask, then the driver is going to have to make the decision for you. I’m all for anything that makes life that little bit easier but I’m not convinced on this idea from Waitrose. But hey, who knows maybe they’ll be inundated with customers queuing up to take advantage of this service post trial……..